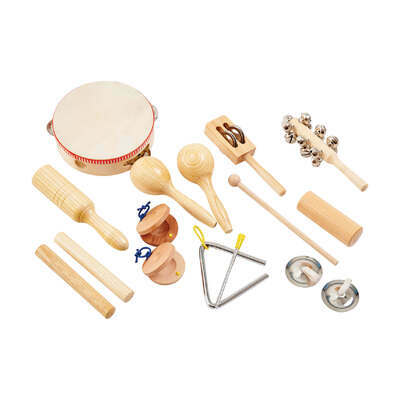 Support their development through the magic of music with this Percussion Set 10 Piece. Developed for use with KS1 children, this economical set fits in effortlessly with your existing resources. Allowing the entire class to experiment with different sounds and movements, with the unique noises they can create with each instrument. Suitable for EYFS and KS1 national curriculum. Supplied as part of our Playtime range, we also stock a wide range of useful items for your nursery or preschool. From our Tambourine for Little Hands through to Sand Grabbers you'll find something to entertain all ages and all for affordable wholesale prices.